James Bond movies haven’t been very memorable since Austin Powers forced the franchise to evolve into generic action flicks, but I bet you remembered the Aston Martin DB10 from Spectre when you saw today’s new Vantage unveiling. It’s been known for some time that the Vantage was inspired by the made-only-for-the-movie DB10, but, actually, it was the other way around. As originally reported by This Is Money, blogged by MotorAuthority and confirmed to me by Aston Martin’s U.S.-based PR chief Matthew Clarke, today’s Vantage had already been designed in 2014 when Spectre was being filmed. “...that when Spectre producer Barbara Broccoli and director Sam Mendes came to his studio looking for a car, they were shown the then yet-to-be-launched DB11. 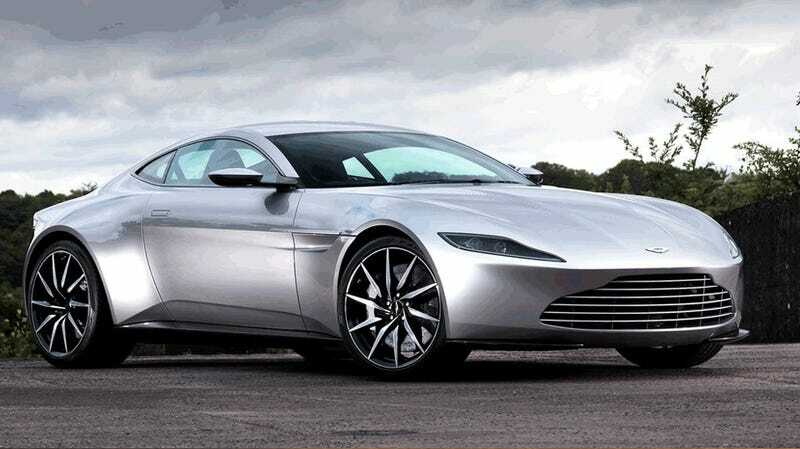 I guess Aston wasn’t willing to release the Vantage three-odd years early, but it was compelled to reach a compromise and create the DB10 exclusively for the movie based on the upcoming car’s design. Unfortunately, the British publication’s story doesn’t go into how exactly Reichman and Aston Martin were “persuaded” to make the ten DB10 cars that ended up being used to make Spectre... (Well, ten cars were made in total. It is generally reported that eight were used in the movie, two were preserved as show cars and one was auctioned off) but you can be sure it involved a huge heap of Hollywood money. So there you have it- the new Vantage design is at least three years old already. But if you’re buying an Aston Martin to live out your 007 fantasies, this will now be the car to get. And actually, I’m pretty excited by the way this thing looks myself.